Asthma sufferers will be called routinely for an annual review with one of our trained specialist nurses. You are always welcome to make an appointment with one of them if you wish to discuss your condition, even if you have not been called for your routine review. If you are unable to attend or wish to discuss a routine Asthma appointment please contact Jo Spicer on 01491 821770. We run blood test clinics every morning from 08:00 on Tuesdays, Wednesdays and Thursdays and from 08:30 on Mondays and Fridays. The early morning appointments are mainly for patients who need to have a "fasting" blood test or have work commitments. Our nursing team are very experienced in performing smear tests. Women over 25 will receive an invitation by post when they are due for this screening test. Led by our nursing team this offers advice and general health check-ups to patients diagnosed with coronary heart disease or stroke. You will be called routinely. If you are unable to attend or wish to discuss C.H.D. appointments please contact Jo Spicer on 01491 821770. All new babies are invited for regular check-ups from eight weeks old. Immunisations are done by the Practice Nurses for all babies and pre-school children. Your baby or child will routinely be called by the practice for their immunisations. If you have any queries regarding immunisation clinics or are unable to attend for an appointment please contact our appointments team on 01491 821771. Patient who have a diagnosis of Chronic Obstructive Pulmonary Disease will be called routinely for a review of their symptoms and medication, as well as a test of their lung function called spirometry. If you are unable to attend or have any questions regarding appointments please contact Jo Spicer on 01491 821770. Sisters Ruth Varley and Hanna Smith, and Nurse Sharon Calverley offer advice and general health check-ups to patients diagnosed with diabetes, in conjunction with the doctors. You will routinely be called every six months to attend for a blood test and to then have an apointment for the results with the nurse or your GP. If you are unable to attend or wish to discuss clinic appointment please contact Jo Spicer on 01491 821770. Diabetes education sessions are offered for all Oxfordshire residents with diabetes, whether this is a recent diagnosis or you have had diabetes for years. Diabetic patients can also be referred for Exercise programmes specifically designed to encourage patients with diabetes to increase their exercise levels. Please ask us for information. Please call the surgery to find out more information or when the next clinic is - (You have to have applied oil in the ear for 14 days before you can be treated). Please call the surgery to find out more information or when the next clinic is (you have to have applied oil in the ear for 14 days before you can be treated). At busy times when there is pressure on nurse appointments, we do sometimes have to reduce the number of appointments we can offer for ear syringing and we are grateful for your understanding if you are asked to wait some time for an appointment. There are a number of private providers who may be able to help you if you feel that you cannot wait and simple measures at home such as olive oil have not helped. The reception team can give details. Please see the section of our website under Our Services titled Sexual Health for more information about our family planning services. During the winter months we hold clinics for flu vaccinations for the over 65’s and at risk patients. You will be invited by letter, please make an appointment by ringing the main surgery number on 01491 835577. 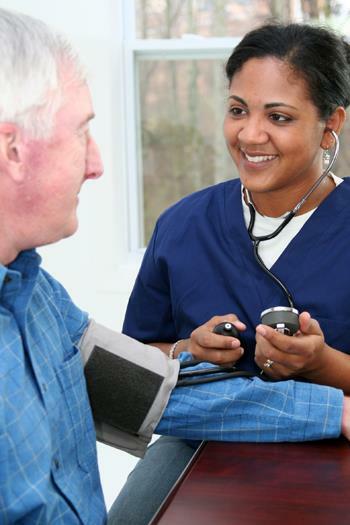 For patients who have a diagnosis of Hypertension (high blood pressure), you will routinely be called for a review appointment with one of our practice nurses. If you cannot attend or you have any queries regarding hypertension appointment please contact Jo Spicer on 01491 821770. A limited number of minor operations can be done in our treatment room. Please discuss this with your doctor who will then arrange for you to be given an appointment. These are offered to eligible patients aged 40-74. You will be invited to attend a review and blood test with one of our Health Care Assistants and will then be invited to attend an appointment with one our practice nurses if the results indicate this would be helpful. Stop Smoking clinics are now run by Oxfordshire County Council. Please ask at reception or your doctor or nurse for details. NHS vaccinations for adults such as shingles are offered by the nursing team to invited patients.